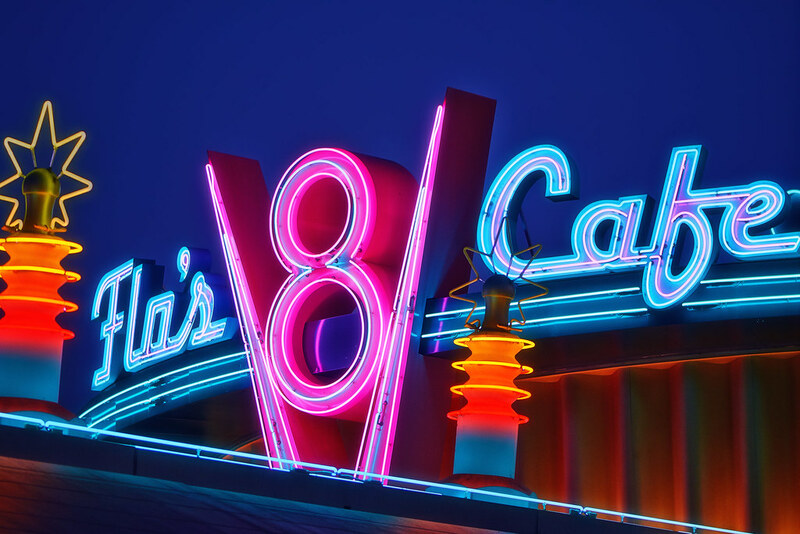 As lukewarm as my interest in Cars Land as a concept is, I am a sucker for pretty neon lights. This entry was posted in Cars Land and tagged Flo's, neon, Pixar, restaurant, sign. Bookmark the permalink.